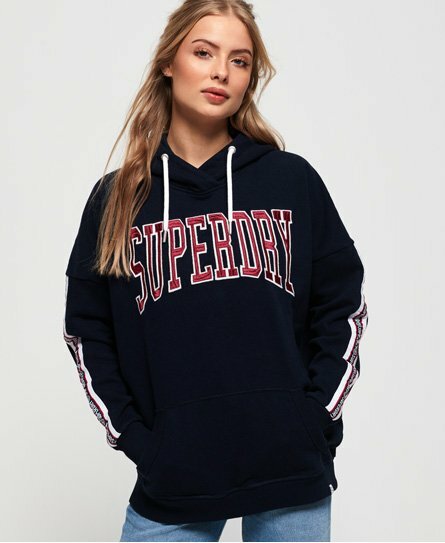 Superdry women's Alicia boyfriend hoodie. This hoodie features a draw cord hood, ribbed cuffs and hem and a large front pocket. The Alicia boyfriend hoodie is completed with our signature logo graphic across the chest and Superdry taping down each sleeve. An easy piece for an instantly impactful look.